Students - Are you asking yourself, "Why on earth is Amy writing about imaginary manatees?" If you are, I completely understand. And I can tell you why. Yesterday I was scooting around online, and on Twitter, I came across this video from the National Oceanic and Atmospheric Administration. After that, I could not get the word manatee out of my mind! Somehow, pat-a-cake entered my mind too, likely because these two words have the same number of syllables and the same stresses too. If you're interested in these cows of the sea, you can learn more about manatees at the Mote Marine Laboratory or the Save the Manatee Club. 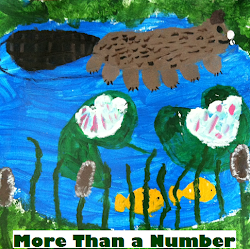 In fact, if any classroom of poets researches, writes, and shares a manatee poem in the comments of this post or on Twitter (I am @amylvpoemfarm), I think that The Poem Farm might just have to adopt a manatee this weekend. 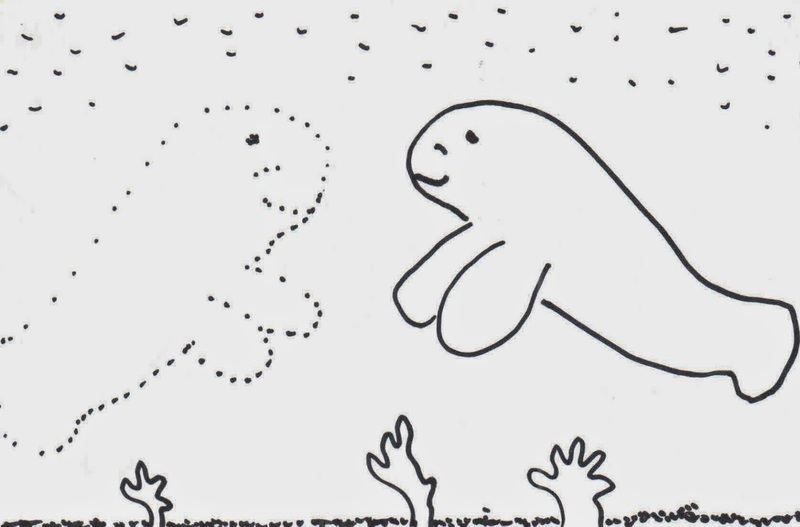 It will be our manatee to love from afar. Lately I have been working on revising a couple of new books, so it was fun to switch over to a new imaginary manatee friend. Perhaps Manny will join us in another wee verse down the road. Last month, I had the good fortune to visit Monkey See, Monkey Do Bookstore in Clarence, NY for an April Poetry Celebration. As part of this celebration, three young writers read their poems about what they love and how they feel. It was a treat to be a part of that morning, and it is an honor to share their work here today. With riders on their backs. Neighing hello to their friends. We’ve got tons of books for you. Thank you to Monkey See, Monkey Do Bookstore and to these poets for this celebration of poetry. 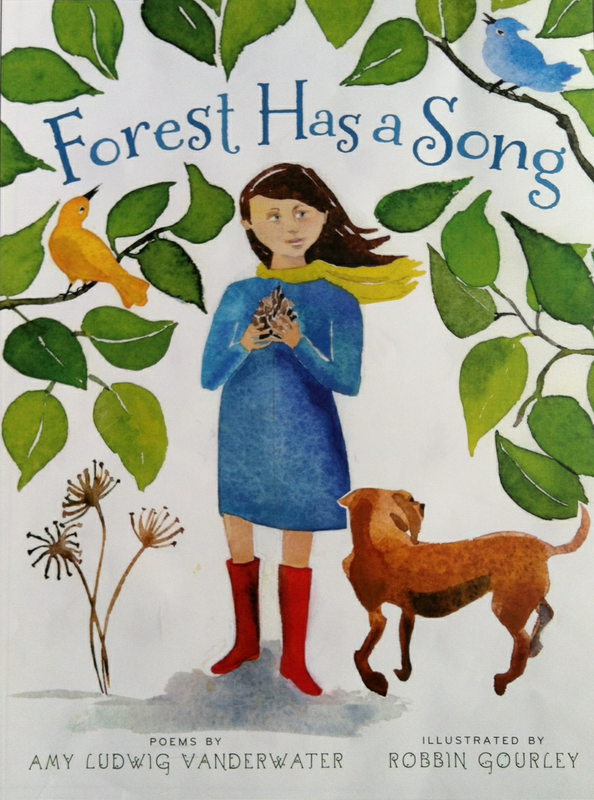 In other happy news, FOREST HAS A SONG was just named as a '2014 Notable Children's Book in the Language Arts' by the Children's Literature Assembly of the National Council of Teachers of English. I have not yet seen the whole list, but I would like to offer congratulations to another poet friend, Margarita Engle as her THE LIGHTNING DREAMER: CUBA'S GREATEST ABOLITIONIST was also named to this list. 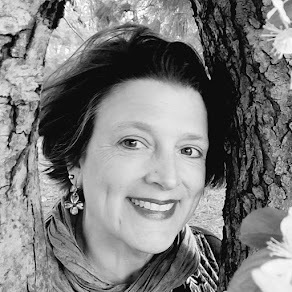 Liz is hosting today's Poetry Friday roundup over at Elizabeth Steinglass! 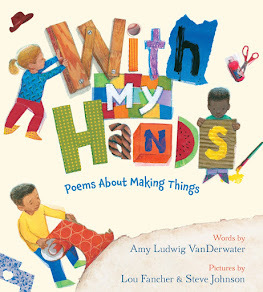 Head on over to her place to taste the various poetic offerings in the Kidlitosphere this week. This is my last day with my students. Not sure if they are up to the challenge, but hey, I'll give it a shot. They sometimes surprise me. Love the playfulness & bounciness of this! Well done, Amy. I love the sounds of your manatee poem. I can see why you'd get that word in your head. And they do have the perfect appendages for pat-a-cake! The children's poems are wonderful, too. I have "chapter books and raptor books" going in my head now. I love that the manatee's name is Manny. I love that he plays pat-a-cake. I love that he plays it with an imaginary friend. And I love the rhythms and rhymes. What a bright, bouncy, upbeat poem. 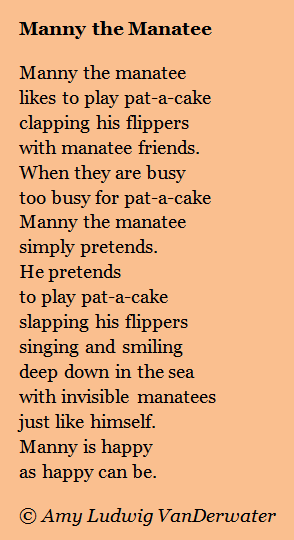 I love Manny (and playing pat-a-cake). Bright and bouncy, indeed. I'm going to save this for my kids - they will have fun with it! Glad to hear that Manny the Manatee will be back. I love that he plays pat-a-cake. 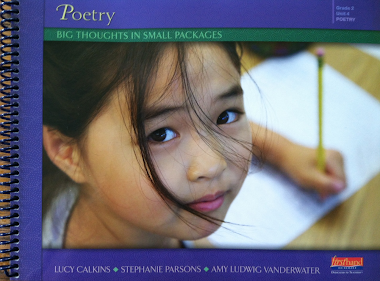 Thanks for sharing poems by children. Very good poets. I love that Manny the Manatee will be back. Thanks for sharing kids poems too. I especially loved Monkey See, Monkey Do! What a feast of lovely poems here, Amy. Thank you for sharing. Thank you Amy for joining us for our First Poetry Read Aloud Event! It was an honor having you at our bookstore!